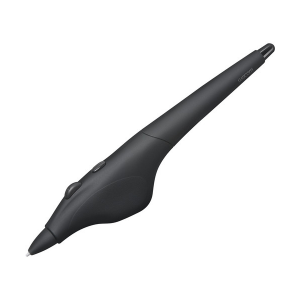 The Wacom Cintiq DTH-W1310P Interactive Tablet offers pen and finger touch capabilities allowing artists not only to express their ideas freely, but also to pan, zoom and rotate any image with multi-touch capabilities to work in the most convenient angles. 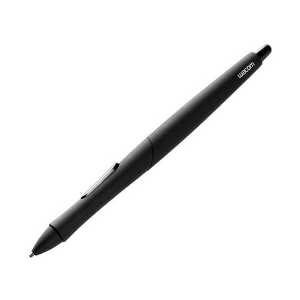 Offering exquisite accuracy with its intuitive pen that supports 2048 levels of pressure and responsive screen, the DTH-W1310P is ideal for professionals. Featuring a 13.3” screen, 16.7 million displayable colors, 800:1 contrast ratio, 150cd/m2 brightness and QHD (2560 x 1440) resolution, DTH-W1310P delivers the most classic image quality and ensures highly impressive end results. Facilitated by Intel® Core™i7 256 GB processor, the DTH-W1310P is best suited for drawing, image editing, concept art, graphic design and 2D animations. The Interactive Tablet has a powerful Core i7 processor that carries out your commands in a matter of seconds without any sort of lag. It also comes with an internal memory of 256 GB which means that you will never have to worry about space anymore. 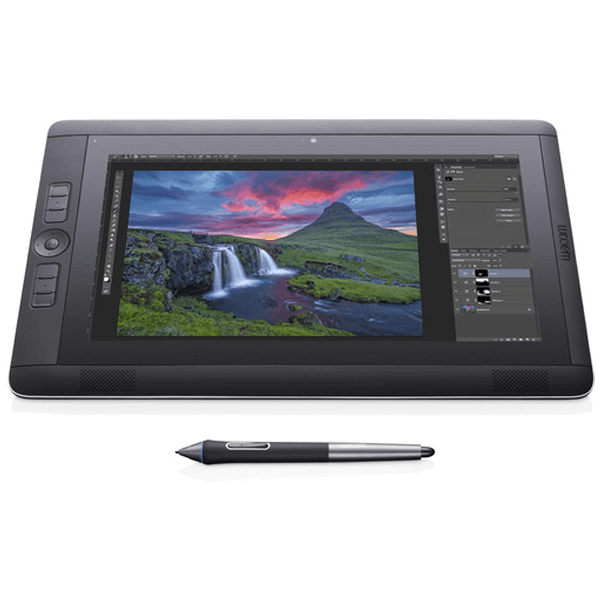 Wacom Cintiq Companion 2 DTH-W1310P Interactive Tablet - Core i7 256GB comes backed by several features that make it one of the most user – friendly Interactive Tablets available in the market. 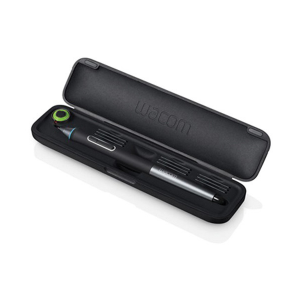 It comes with an innovative pro pen that can respond to 2048 levels of pressure. It also has the capability of recognizing multiple touch gestures which allow users to pan, zoom and rotate any displayed image. 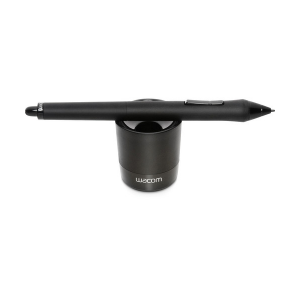 The Wacom Cintiq Companion 2 DTH-W1310P Interactive Tablet features a high quality stunning display of 1080p HD resolution that has the capability of displaying up to 16.7 million vibrant colors with breathtaking details. 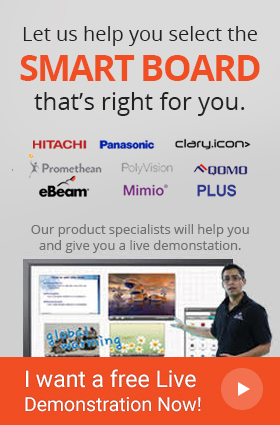 The Interactive Tablet comes with an extremely large internal storage of up to 256 GB that allows users to store all their work in a single place without experiencing the hassle of keeping a portable hard drive at all times. Note : Battery Life Will Vary. It Depends On How The Products Are Used And Which Device Settings Are Selected. To Meet The Needs Of Graphics Professionals, Wacom, With Microsoft’s Approval, Moved The Windows Home Button To The Side Of The Bezel. 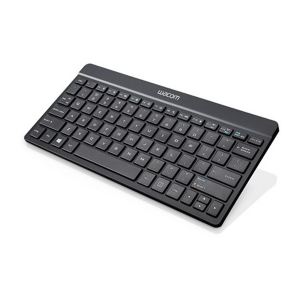 This Provides Better Functionality For Professional Creative Use. Consequently, The Cintiq Companion Is Certified For Windows 8 As A Specialized PC (SPC). While We Are Not Aware Of Any Compatibility Issues, As Part Of The Windows 8 Certification Program, We Are Obliged To Inform You That Certain Features Or Functionality Of Windows 8 May Not Work As Expected.